Pocket Size Promotional Maps | Map Stop | Top maps at a reasonable price in one place. If you are looking for a pocket or credit card sized product out of which to display your map then we have the answer! The info carte® map can fold out to a range of sizes with plenty of room on the reverse for your corporate details and, as the cover is bespoke, it can be designed exactly as you want it to appear. 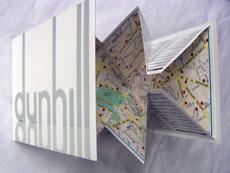 The Pop Out Maps also come in a range of styles with complete flexibility on design. As for the mapping, that can be a city plan, a location map for your office, a map of the UK or the World showing your National or International locations.